The Open Training College offers courses in management, social care and continuing professional development. Courses at the Open Training College include applied management, professional development, professional social care, intellectual disability practice and CPD courses. We exist to provide accredited training courses and consultancy services to the human services and non-profit sector. At the Open Training College, our degree level and professional development courses and programmes provide disability and social care professionals with the skills required to deliver effective person centred services. Our accredited certificate, degree and professional development courses and programmes provide people with the knowledge and skills required to manage effectively in a challenging environment. The Open Training College has spent over 20 years working as training experts. In that role we have combined extensive first-line experience with a detailed knowledge of the strategic and operational dynamics of the space. This commitment has driven our desire to create a community of learning and professional practice, one that focuses on the acquisition, dissemination and practical application of knowledge and expertise. 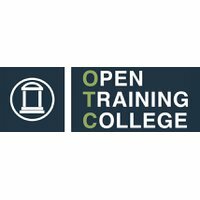 For more information about courses and programmes at the Open Training College, view our courses in the Nightcourses.com Course Finder.